I 376 E, take exit 13A Poland, OH to merger onto US -224 W Turn right onto Winter Road approximately 2 miles turn Right on to West Washington Street Trailhead on the left. Ohio side Parking: There's a small lot at each end of the trail. Ohio endpoint is on Rt. 289, just southeast of Rt. 616 and New Castle Rd. Look for the trail sign. The Stavich Bicycle Trail is the only bicycle trail in the U.S. that will take you through three different townships, two different counties and two different states. 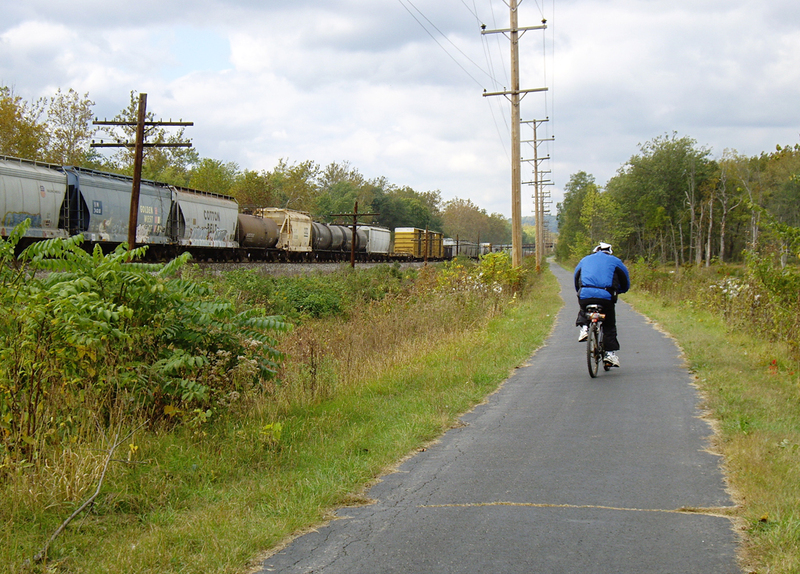 Twelve miles long and eight feet wide, the Stavich Trail is paved with street-quality blacktop and sealed to provide a smooth, safe riding surface the entire length of the Trail. Running parallel to the scenic Mahoning River and the rails of the former Youngstown-New Castle streetcar line, the Trail originates in Struthers, Ohio, and continues through Lowellville and Poland Township in Mahoning County, Ohio. From Poland Township, the Trail enters Pennsylvania in Hillsville, and passes through Union Township on its path to New Castle in Lawrence County, Pennsylvania. Over rolling hills, through farmland and wooded countryside, the Trail unfolds east and west to provide safe, barrier-free recreation all year long. In the spring, summer and fall, the Trail is open for bicycle riding, hiking, walking and jogging; in the winter, the Trail is used for cross-county skiing. Motor vehicles are not permitted on the Trail. Hours of use are from sunrise to sunset. 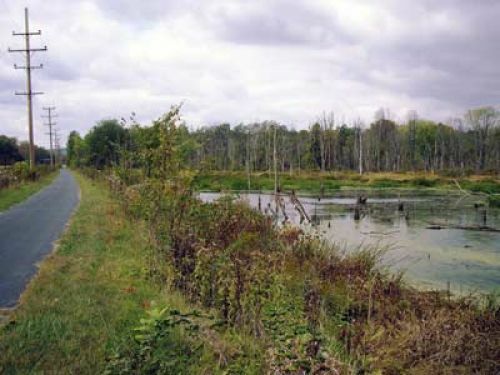 The Stavich Bicycle Trail was constructed and currently is maintained through private funding from the John and George Stavich families, and donations from local individuals. 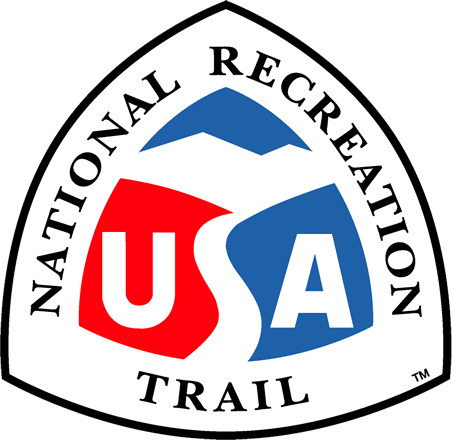 The Trail was dedicated in June 1983, and has been expanded and improved each year as a lasting gift to the people of Northeastern Ohio and Northwestern Pennsylvania. Following the train west. Photo by Mary Shaw.